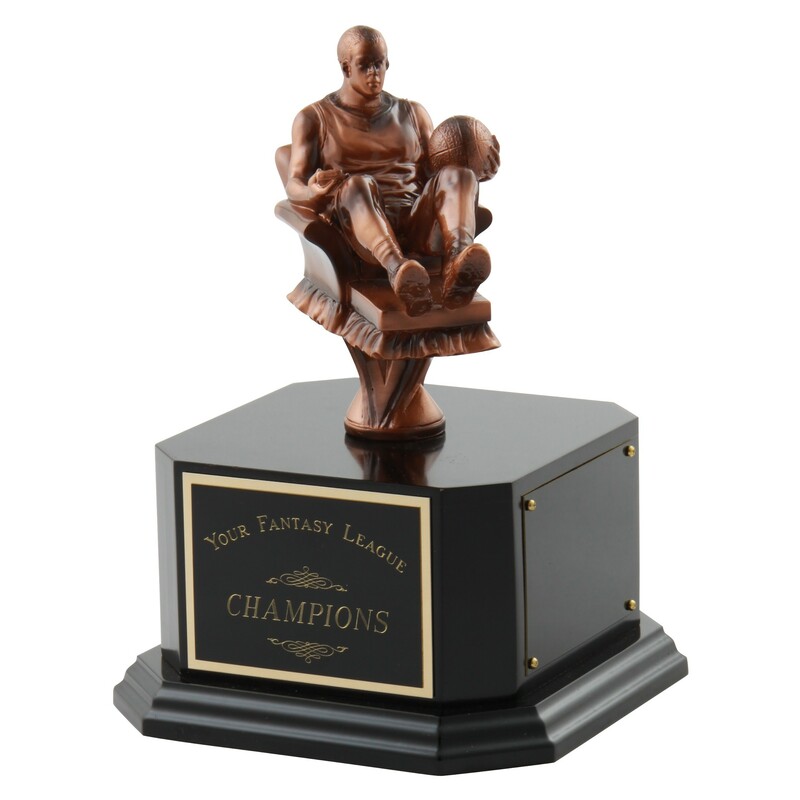 Our Fantasy Armchair Basketball Trophy has an awesome player in uniform holding a remote and a ball, checking on his team. The front plate engraving is included in the price; choose the optional blank side plates for engraving yearly winners. 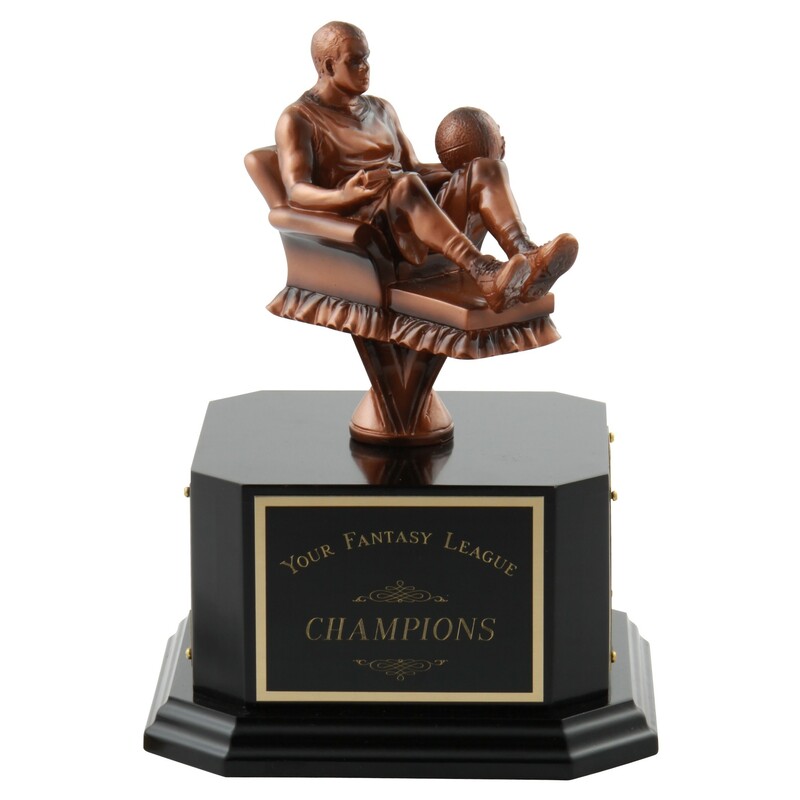 This is a great trophy for a fantasy basketball team!